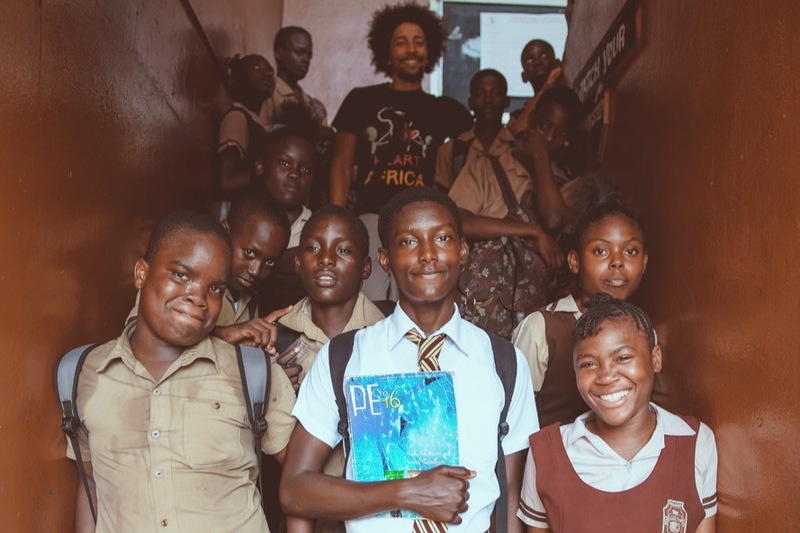 Blessings family Chakabars, Fuse Odg, Chronixx and Donisha here :) We have decided to embark on a new mission, to build a local High school in Ghana and to refurbish a very important school in Jamaica! Each one, Teach One. We want to create a safe and comfortable environment for youths on the continent and in the diaspora to learn and connect with each other through responsible use of technology and a shared curriculum that embraces their culture and identity in preparation for their own evolution. This is a call to action to a global village of inspired individuals to collaborate on a project that will bridge a gap and outlive us all. Whilst we are doing the building work, we will also be starting a volunteering programme for each school whereby people can support virtually behind the scenes, or actually go and physically help out while they are on holiday. Why are we linking up? Because together we are stronger, we believe that the people are generous and want to give but don't trust big charities because they take ages to get jobs done and you never see where the money went! We have a plan! We need 20,000 people to donate £25, in order to reach our target of £500,000. And with our collective talent, skill sets and social media following, that shouldn't be too hard. Right? The money will be split equally between the school that Chronixx wants to refurbish and the School that Fuse wants to build. Donisha will be helping to make sure that we find sustainable ways to manifest and manage this project from the grass roots up. While, Chaka will continue to travel in between both Nations as an ambassador, building a bridge and keep the global village informed with videos and images! 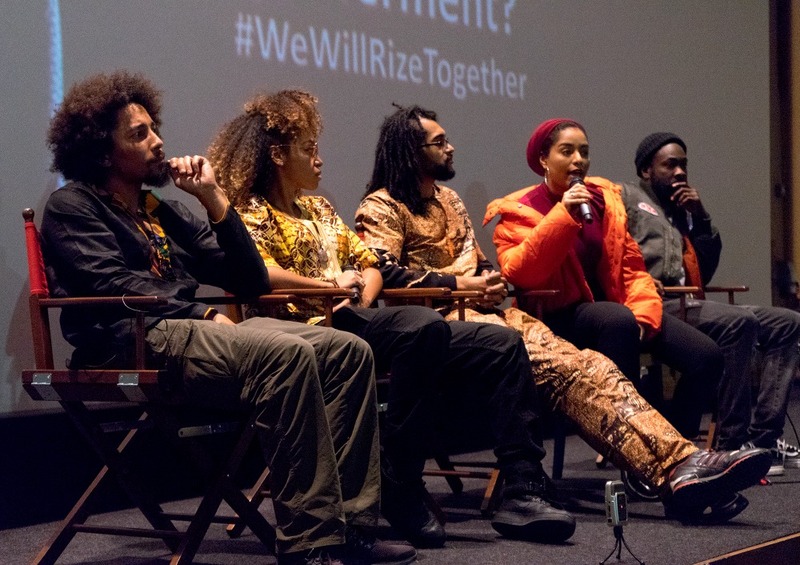 Both Chronixx and Fuse will be hosting concerts in aid of this #wewillrizetogether project, so stay tuned for more details of when and where! 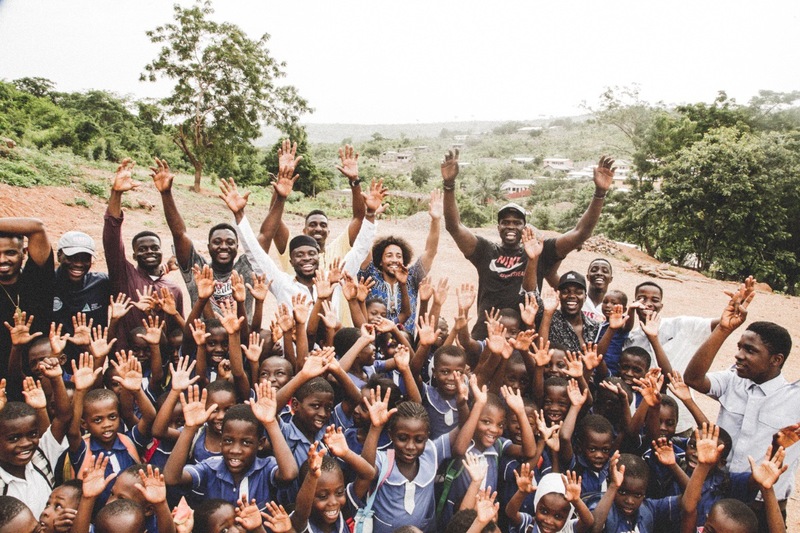 Back in 2007, Fuse ODG teamed up with a charity called Wood World Mission and fundraised to build a primary school, in a small town named Akosombo in Ghana. Over the years, the school has made an incredible impact on not just the students that attend but the broader community. The first cohort of students should be starting secondary school in September 2017. But the nearest secondary school is miles away and most families are not able to afford the school fees. 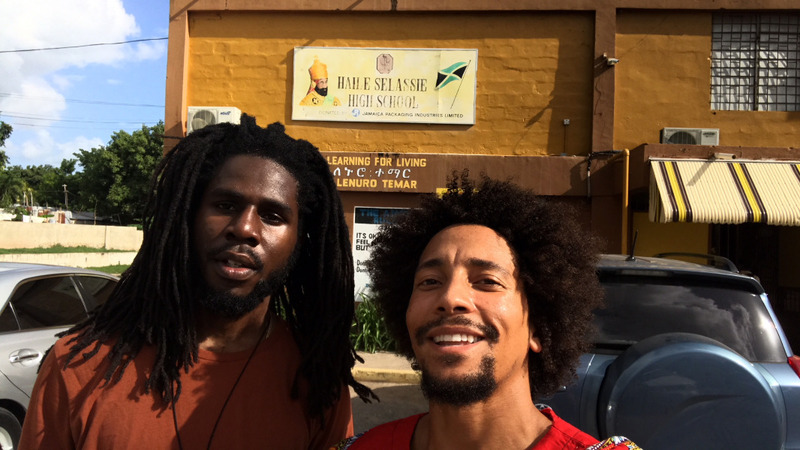 Chronixx chose this school because of the important history. Let's go back to 1966, when H.I.M Emperor Haile Selassie I made a state visit to Jamaica. His Majesty got a chance to tour Kingston and see the sites of where and how the people were living. Before his visit was over, he purchased a plot of land and donated it to the people of Jamaica in aid of High School to help further the education and life opportunities for Jamaicans living in sub- standard situations. In 1969, the Haile Selassie High School was established in Payne Ave. But since then, the school has come upon hard times and is in need of some serious Love and attention. "It takes a village to raise a child. " Our aim is to promote and enhance the total physical, intellectual, social, cultural and spiritual development of all students who come within its sphere of influence of each school, thereby making them fit to live and fit to live with. - Raise £250,000 per school. -Over the next 5 years, we will educate hundreds of children and employ many people from the local communities. -Equip the school with proper facilities and modern tools that will help in the advancement of their knowledge in the scope of the world. -Compliment traditional education with a number of vocational and creative skills such a carpentry, cosmetology, culinary, manufacturing natural hair & body products, filmmaking, music and sewing to name a few so, that they will be equipped as soon as they leave with the skills to go out and earn a living and tell their story. We need your help. Let's come together as a global village, using our capital, our resources, and our influence to give all these students a brighter future. -Land, Building Materials, Basic School Equipment, -Labour, transport & Legal fees. -Self development , Vision Crafting & Comeunity building Workshops. - Environmental Prep: Outfit school and surrounding area with recycling facilities. -Fix Bathrooms, roofs, solar panels,updated tools for wood work and metal shop. We are linking up the internet to collaborate in a process that will teach each of us a new set of skills, and empower young people in adverse situations to be able to affors and enjoy getting a good education. We are creating a new model of co-existence, collaboration and come-unity building. - Provide employment to families of the communities. - Create a safe space for visitors to contribute to works while on vacation. - Use local resources, including wood and other building materials thereby empowering the local economy. - Create a memorable experience for all concerned. 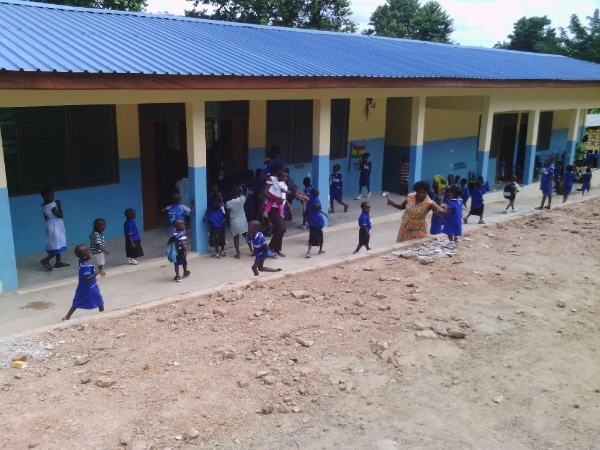 We will continue to visit both schools in Jamaica and Ghana to document the process construction and completion. This is such and exciting project, there is enough money out there to get this done. We have no big overheads, we have no big marketing campaign. Every penny will go into funding this project! Keep an eye on our socials for updates, we’re building as we go along! Please donate and let's build together. Respect and blessings. Now that you know what it's about, share with your friends and followers and see how you can be a part of the movement. So it has been a year and we are still working towards providing more for the children in Jamaica and Ghana We have achieved some good progress. Everybody keeps asking me when they can get involved, let me explain where we are at so you can help move this forward again. We started in Akosombo, Ghana & Kingston, Jamaica at the same time. 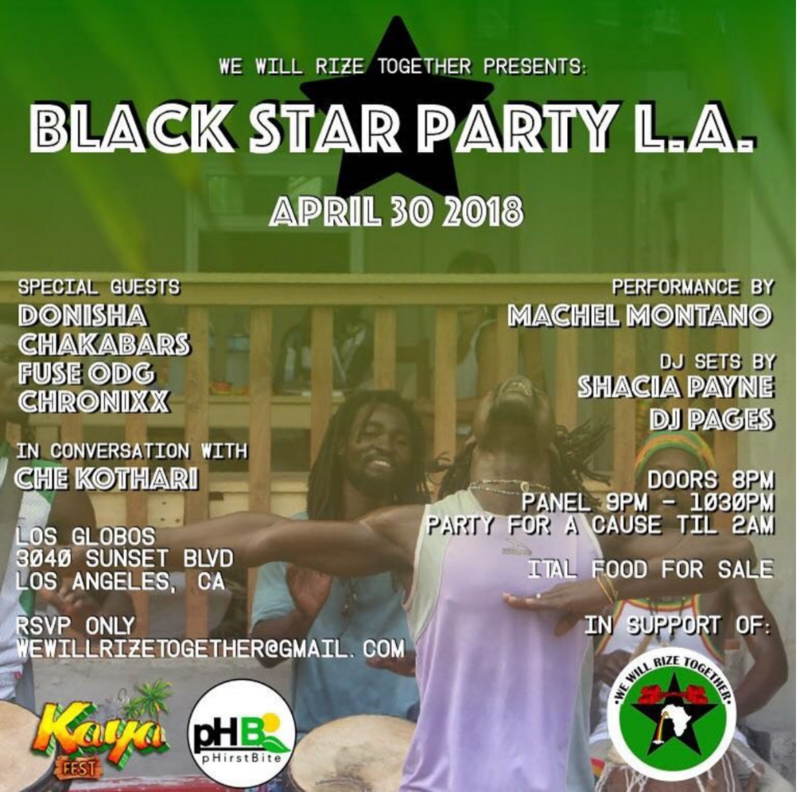 We did the blackstarparty to launch the project. 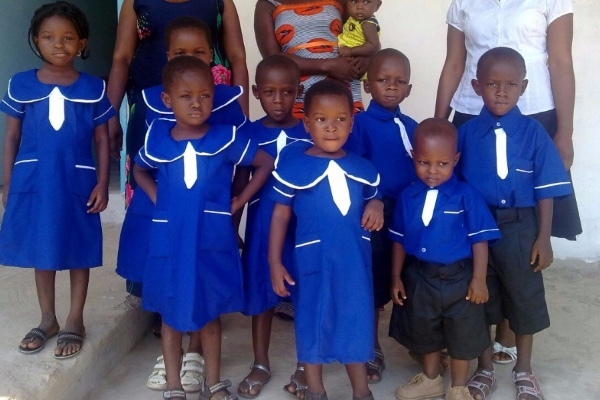 We were fundraising for a few months, then we got to work, we built the children a swimming pool in Ghana as that is what they have always wanted, we also sorted out the road to the school, we have also levelled the land where we are going to build their new school. 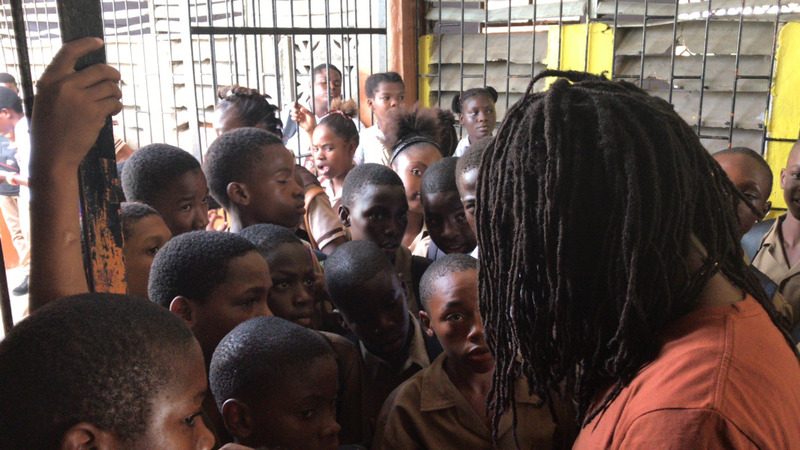 In Jamaica we have resurfaced their roof on part of the school & are now beginning to work on the inside of the rooms. We wan to make it like Wakanda in there. We have also taken all of the students from both schools to see black panther, so that they can have a better idea of what they want their schools to look like. We have now got an amazing brother to help fund the start of the school build in Ghana @luoldeng9 so I will be going there soon to see what that looks like & organise the volunteering programme in Akosombo. 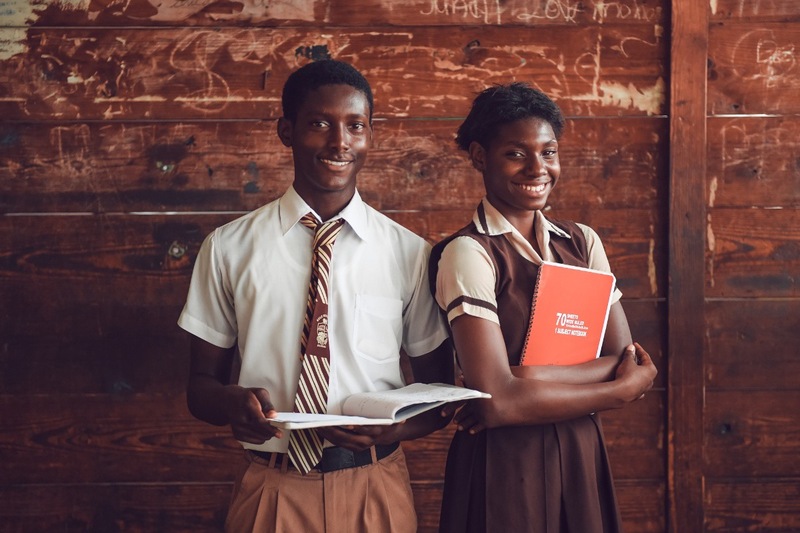 We need a to raise more funds now, so we can get the 3D drawings for the complete refurbishing and remodelling of the Haile Selassie high school in Kingston. Then we will find some people to help fund that work & I will start a volunteer programme there. This is where we are at. Please support us, we have raised £40k in 12 months, this has gone on the work so far, but we need more support so we can move forward. Respect. @lexonart @ filmawi on the pictures. Please Donate If You're Able, Share On Instagram, Twitter & Facebook! Just a quick update, the Haile Selassie School Library roof has been finished. Mya & Fuse joined the team to celebrate the completion. Next we need to Wakanada the library. Thank you for you support, please continue to help by donating. We hope all is bliss and that you're feeling good! We wanted to let you know that as donors of our projects that your support has been what enabled us to begin repairing and building the schools for the children. As a way of showing our appreciation, we would like to extend a VIP invite to those of you who have donated to the project in the Los Angeles area to our event this evening. We have arranged from an evening in conversation with the project coordinators Chakabars and Donisha who will be joined by FuseODG, Chronixx, Machel Montano and Che Kothari. As a donor there is no need for you to RSVP simply arrive onsite with a screenshot of this notification. For those outside of LA, we hope you appreciate we're sorry you're geographically not able to make it but we thank and appreciate you for your support and hope that it continues. You would be helping out massively by helping share the flyer on social media! 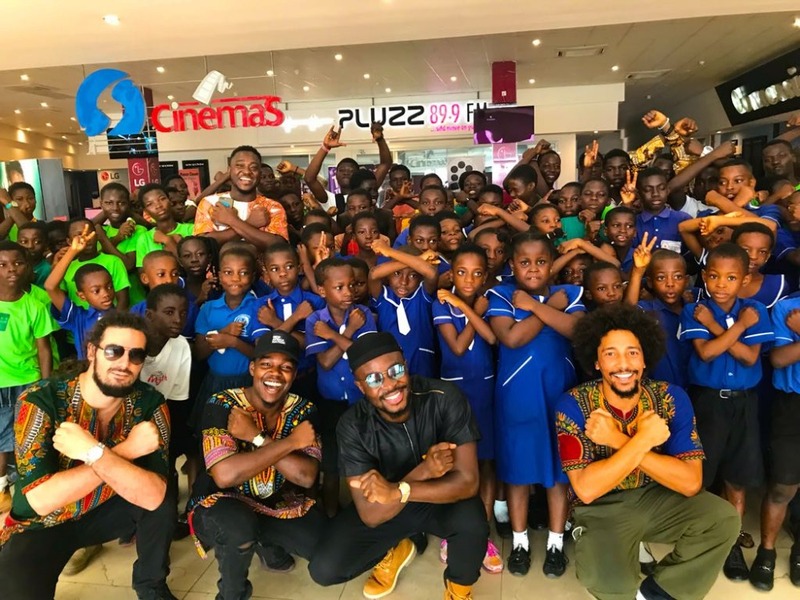 At this point here, 6 weeks on, 4 screenings down across 4 cities in 3 countries and working with 9 schools plus countless organisations and educators, with your help we have been able to take 1250 students to go and see Black Panther! We have to give you all a big heart filled thank you for your continued support, you are just as much responsible for making this possible. This has been much more than a chance for the students to watch a film. It's the opportunity for them to engage in conversations and exercises specifically designed to draw of the ideas concepts and principles presented in the film as they relate to real life issues. The lesson plan we created is available to download free via the GoFundMe page. 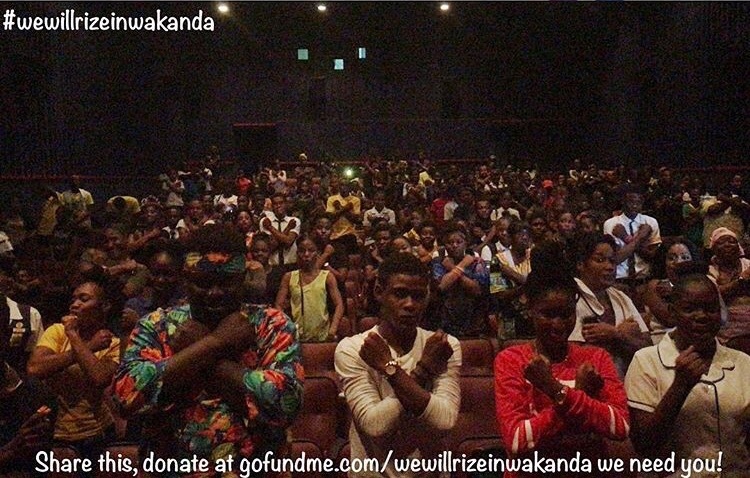 As many of you may have seen via social media, last week we took another 250 students to go and see Black Panther. This stop on the tour was extra special because the children we took were the children that we're building the high school for in Akosombo who have never even left their local area before. With your help #WeWillRizeTogether were able to arrange for the transport, tickets, food and refreshments for the students. The Journey from Akosomobo to Accra is around 2 hours away by coach and was like a mini vacation for the kids. We're on out way to the States, where we plan to take atleast another 600 students from New York, Miami and Los Angeles. We're working in coordination with local community-based organisations and schools to make the necessary logistical requirements to make this happen, but, to make this happen we still need your help!